“A new survey from online real estate brokerage Redfin regarding home buyer sentiment found that existing owners are a lot more likely to sell before purchasing a new home. Are you in the market for your next home? If you are, and haven’t gone into escrow already, this next five months will probably be your best time to buy – for a number of excellent reasons. First, we are about to enter the traditional slowest time of the year for South Orange County real estate. While most of this year’s buying happened in the Spring and early Summer, that hectic period – complete with rising prices, and multiple offers on the better listings that popped up – and heading into the Fall months, complete with the Holidays. Most buyers have already bought, thinking of getting their kids in school, while many of those who weren’t successful and now hunkering down for the Holidays, planning to start fresh in the Spring of 2016. 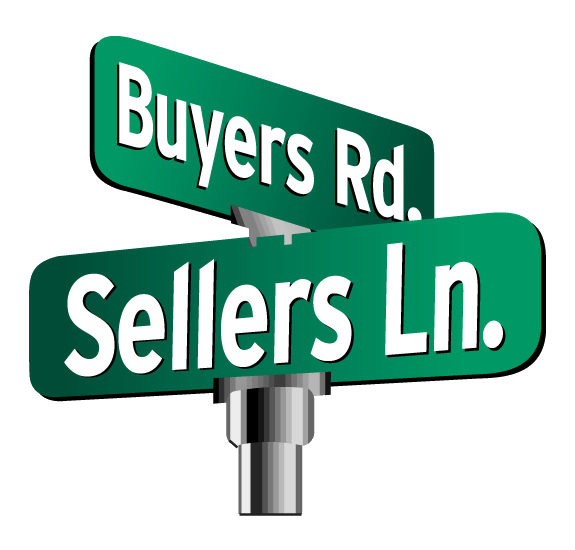 In addition, new listings are still coming aboard, with sellers unaware that most buyer’s ships have already sailed. Enter the buyer’s best annual sweet spot, a time when more listings are being confronted with fewer buyers. As the next few months go buy, sellers will become more anxious – that they missed the market – and will start to reduce their prices, making your choices as a buyer, considerably more negotiable. Construction spending fell in June after the May reading was revised upward to 1.89 percent from the original reading of 0.90 percent. Spending for residential construction rose by 0.40 percent, while non-residential construction spending remained flat. The seasonally-adjusted annual outlay for construction was $1.06 billion in June. Analysts continue to note a trend toward construction of smaller residential units including condominiums and apartments, with an emphasis on rental properties. 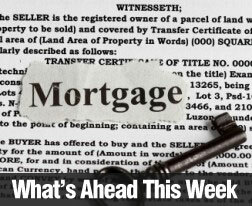 This supports reports that would-be homebuyers are taking a wait-and-see stance to see how factors including rising home prices, fluctuating mortgage rates and labor market conditions perform. According to a survey of senior loan officers conducted by the Federal Reserve, mortgage lenders reported that mortgage applications increased during the second quarter and indicating that financial constraints on consumers may be easing. According to the survey of 71 domestic banks and 23 foreign-owned banks, 44 percent of respondents reported moderate increases in loan applications, while only 5 percent of survey participants reported fewer loan applications. Some banks surveyed reported easing mortgage approval standards, but fewer lenders eased standards than in the first quarter. Further supporting growing confidence among lenders, the Fed survey also reported that large banks were easing consumer credit standards for auto loans and credit cards. Freddie Mac reported that average mortgage rates fell across the board last week with the average rate for a 30-year fixed rate mortgage lower by seven basis points to 3.91 percent; the average rate for a 15-year fixed rate mortgage fell by four basis points to 3.13 percent, and the average rate for a 5/1 adjustable rate mortgage was unchanged at 2.95 percent. Discount points for all loan types were unchanged at 0.60 percent for 30 and 15-year fixed rate mortgages and 0.40 percent for 5/1 adjustable rate mortgages. Weekly jobless claims rose from the prior week’s reading of 268,000 new claims to 270,000 new claims, which matched analysts’ expectations. In other labor-related news, the government reported a national unemployment rate of 5.30 percent in July; this was unchanged from June’s reading. The ADP employment report for July showed fewer jobs were available in the private sector. June’s reading showed that private sector jobs grew by 229,000 jobs; July’s reading fell to 185,000 private sector jobs. According to July’s Non-farm Payrolls report, 215,000 new jobs were added in July as compared to expectations of 220,000 jobs added and June’s reading of 231,000 new jobs added. The Federal Reserve’s Federal Open Market Committee (FOMC) is closely monitoring job growth and inflation rates as it contemplates raising the target federal funds rate. Core inflation grew by 0.10 percent in June; which was consistent with May’s reading and expectations. The FOMC recently cited the committee’s concerns about labor markets and lagging inflation. The Fed has set an annual growth rate of 1.65 percent for inflation for the medium term; this benchmark is part of what the Fed will consider in any decision to raise rates. This week’s scheduled economic reports include reports on retail sales and consumer sentiment in addition to usual weekly reports on mortgage rates and new jobless claims. Orange County Housing Report: Here We Grow Again! Part of the normal summer housing cycle, the active inventory continues to grow without pause. A Growing Inventory: the active inventory has grown by 42% since the beginning of the year. Quietly, one house at a time, the active inventory has been growing. In order for the inventory to rise, homes have to come on the market faster than they are coming off. Homes come off the market for one of two reasons: either they are placed into escrow or a seller opts to pull their home off of the market. So, in order for the inventory to blossom from 5,000 homes at the beginning of 2015 to 7,116 homes today, homes have to sit on the market without success. But how can that occur when we have heard so much about the extremely hot market this year? Quite simply, too many overzealous homeowners inaccurately priced their homes outside of reality and sat on the market until they came to their senses. It’s no wonder that 10% of the housing inventory in Orange County reduces their asking price each and every week. Don’t get me wrong; the market is a lot stronger this year compared to last year. There were a similar number of homes placed on the market so far this year compared to last year, but the active inventory last year was 6% higher. 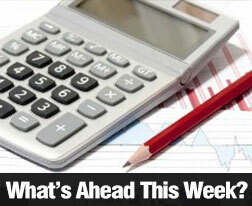 The inventory was higher because demand was not as strong during the Spring Market. When fewer homes are placed into escrow, the inventory rises. 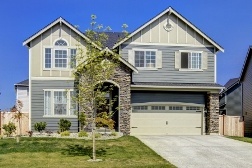 In spite of the robust market, the inventory is still rising. 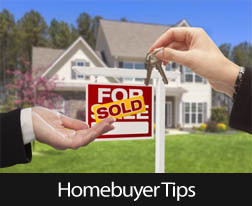 A hotter market is not a free pass to price a home wherever a seller wishes. Those sellers realize the error in their ways after sitting on the market without reviewing a single offer. Now that summer is almost over, the Orange County housing market is beginning its annual transition into the Autumn Market. Have you seen more Open House directional arrows at busy cross streets? That’s a definitive sign that there are fewer buyers in the marketplace, that homes are not selling as quickly, and that too many homes are not priced accurately. April 9th of this year was the absolute peak of the spring selling season. The expected market time was at 1.81 months, or 54 days. The market was a very hot seller’s market and prices were rising, homes were flying off of the market, and offers were coming in above the listing price. Since then, the inventory has grown by 27%, 1,792 homes, and demand has dropped by 13%, or 409 pending sales. When supply rises and demand drops in housing, the expected market time that it would take for the average home to be placed into escrow rises, the higher the expected market time, the slower the overall market. It has climbed to 2.64 months, or 79 days, moving from a deep seller’s market to a slight seller’s market. The expected market time is marching its way to three months. When it is between three and four months, it is a balanced market, one that does not favor a buyer or seller. At its current level, sellers are able to call the shots, but appreciation has slowed to a crawl. Without appreciation, proper pricing is vital in order to succeed. At this point, sellers wishing to stretch the price will simply sit on the market until they finally wake up to the reality that they are overpriced and will attract no offers. Success today can be achieved a lot swifter with the sound strategy of pricing a home as close to its Fair Market Value. This cannot be determined by any online tool or valuation calculator, as they can be off by 20%, or even more. Instead, it is best to utilize the expertise of a seasoned REALTOR®, an expert who is able to take into consideration location, condition, upgrades and amenities, carefully comparing a home to the most recent pending and closed sales activity to determine the price. The bottom line: price is the determining factor in successfully selling and stretching the price is a strategy that will not work for the remainder of 2015. Active Inventory: The inventory increased by 7% in the last month. The active inventory increased by 469 homes in the past month and now totals 7,116. October of 2014 was the last time the inventory was above the 7,000 home mark. Last year at this time the inventory totaled 8,057 homes, 941 more than today, with an expected market time of 3.16 months, or 95 days. That’s 16 additional days compared to today. From here we can expect the listing inventory to continue to grow through the end of the summer before turning lower in September as fewer homes come on the market and sellers start to throw in the towel with both the Spring and Summer Markets in the rearview mirror. Demand: Demand decreased by 9% in the past month. Demand, the number of new pending sales over the prior month, decreased by 271 homes in the past month and now totals 2,698 homes, its lowest level since February. Demand will remain at these levels for the remainder of summer before it downshifts again after the kids go back to school. Last year at this time there were 149 fewer pending sales, totaling 2,549. The year over year difference has diminished substantially. On July 2nd there were 492 more pending sales compared to 2014, 20% more. The current difference is the smallest since February, just 5%. Distressed Breakdown: The distressed inventory increased by 12 home in the past couple of weeks. The distressed inventory, foreclosures and short sales combined, increased by 12 homes in the past two weeks, but for the month it is actually down by nine. Year over year, there are 31% fewer distressed homes today. With a sharp turnaround in prices in the past few years the number of distressed homes has fallen appreciably. Only a few percent of all mortgaged homes are upside down. During the Great Recession, the number was as high as 25% of all mortgage homes. The distressed market has been reduced to an asterisk of the current Orange County housing scene. 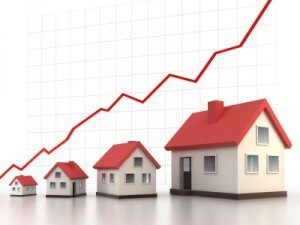 Comments Off on Orange County Housing Report: Here We Grow Again!